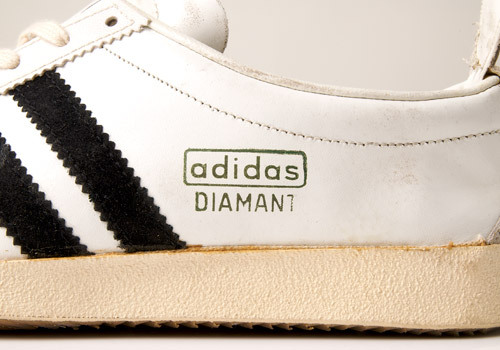 One of adidas’ vintage low cut silhouettes, the Diamant is a sleek and simple release. 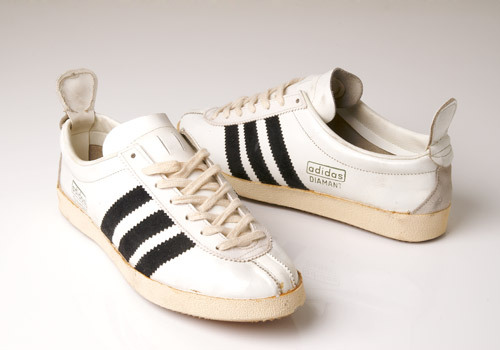 With predominant white leather; accented in the classic adidas style, (black stripes on a solid white body) the shoe gives off a true feel of retro simplicity. 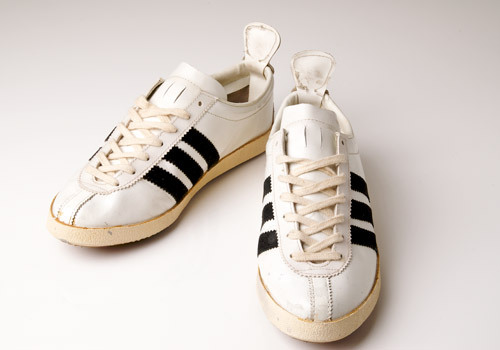 The toe of the shoe is layered with a solid white strip – perforated like the side stripes – matching the eyelet runways. 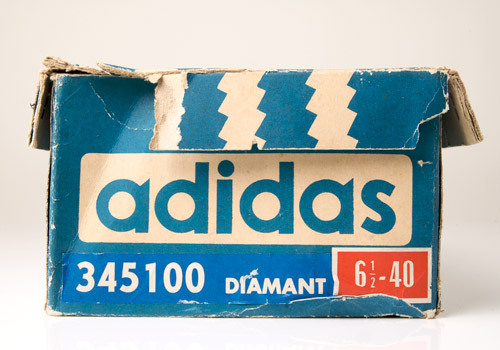 The side wall reads ‘adidas Diamant’ in metallic lettering. 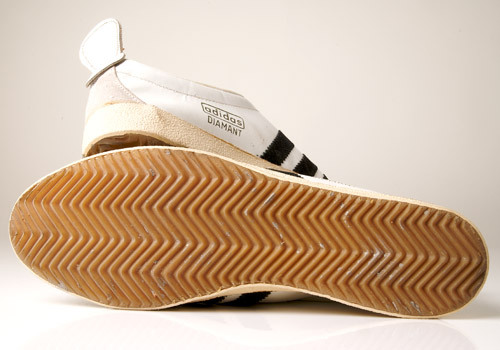 A large heel tab is attached to the rear heel collar for ease of fit and more effective removal. 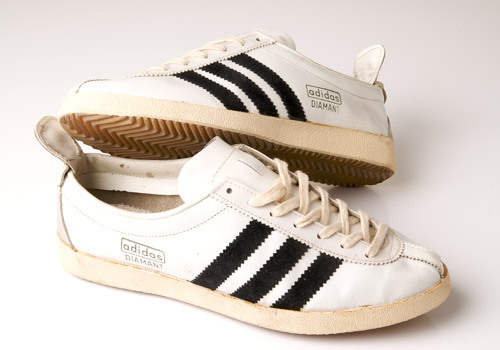 The soft leather tongue is left blank and unspoiled, with the exception of a subtle lace loop for a secure fit. 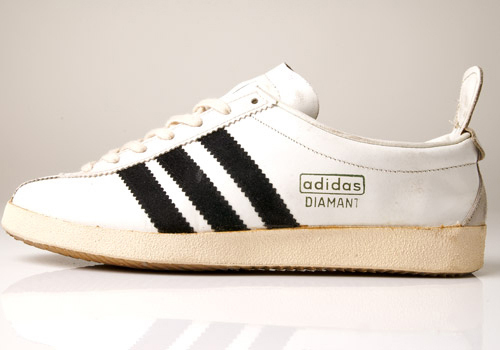 The chalk-colored rubber out sole is thick and well riveted for optimum traction while running.